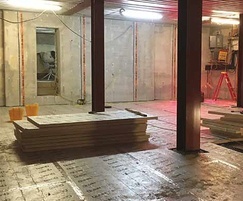 Delta’s Technical Consultant, Paul Callaghan, was approached to give assistance on designing a robust waterproofing solution for a new-build basement within a synagogue in Stanford Hill, North London. Due to the high hydrostatic head of water pressure, there would be ingress issues with the basement if attention to detail was not incorporated from the outset. The waterproofing design for the site was drawn up working closely with the geotechnical engineer and structural engineer. The size of the submersible pump chambers needed to be determined by the volumes of water ingress the synagogue was likely to experience. The basement was approximately 6m deep, being one of the largest in the area. 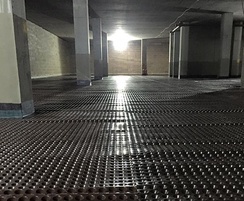 Paul suggested incorporating the Delta bespoke sump pump range into the design to remove large volumes of ground water in the event of an unexpected defect in the structure. 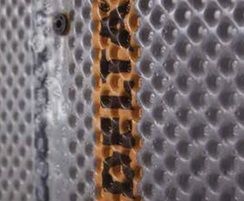 Delta’s sump pumps offer extra protection to a structure from water ingress and are capable of withstanding hydrostatic forces encountered in all demanding and unsympathetic applications. Locations of the sump pump units were suggested during the design phase and were installed by the main contractors under the supervision of Delta. By incorporating sump pumps at the design stage, it allowed the project team to work together to create and share a range of project documentation which created better project decisions during the correct stages of the project. The sump pump units also gave the client peace of mind, knowing that if ground water entered the structure, the sump pumps were more than capable of counteracting this issue. The design was further enhanced by the incorporation of a high-water level alarm which sends data to Delta’s monitoring operation centre and a duplex control panel. The powerful Dual V6 pumps were factory-set to activate at different levels - one V6 pump being the primary and a secondary pump acting as a back-up. 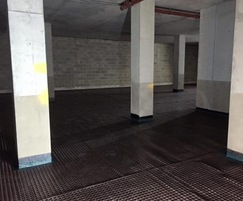 As the synagogue basement was a new build, an application of Koster Polysil TG 500 (an anti-lime coating / surface primer) was applied which would reduce the risk of excess free lime leaching out of the concrete during the curing process. This free lime, if untreated, can enter the cavity drainage system which can impede the flow of water and cause sump pump failure. 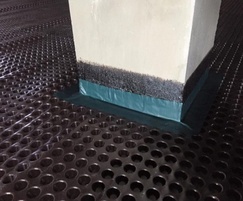 The client confirmed Delta’s expertise and on-site attendance exceeded expectations and congratulated Paul on his understanding of expected performance and his ability to explain the reasons for his waterproofing design. 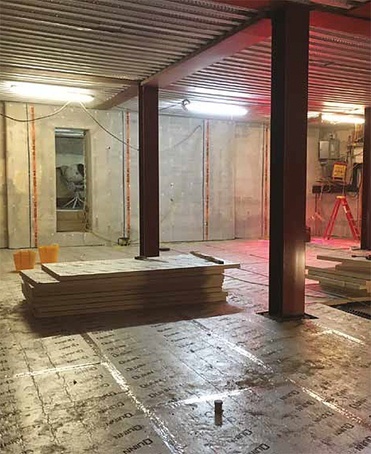 Delta was able to fulfil the objectives of the project and present solutions that resulted in the Shul and rooms within its basement remaining dry, habitable and fit for purpose.